Linux Ubuntu operating system mobile version is being developed so that mobile operating system can run on smartphone, giving a sign that the release date of this OS is near. It's probably will released at the end of this year or even early 2013. Canonical officials, as the company that develops Ubuntu, hinted at the sidelines of the Computex Technology Show in Taiwan that held in June 2012. Canonical Global Marketing Manager, John Barnard says, there will be an announcement about Ubuntu OS for smartphones by year's end, although he did not say the announcement was a moment of the launch of Ubuntu for smartphone. Canonical founder Mark Shuttkeworth just say the word "may", as he did not give the exact date, when asked about the Ubuntu OS for mobile launch that will be released on early 2013. They said similar things that Ubuntu is still being developed for smartphones. Ubuntu for the smartphone will not be immediately available for download, but will be pinned directly on smartphone device. 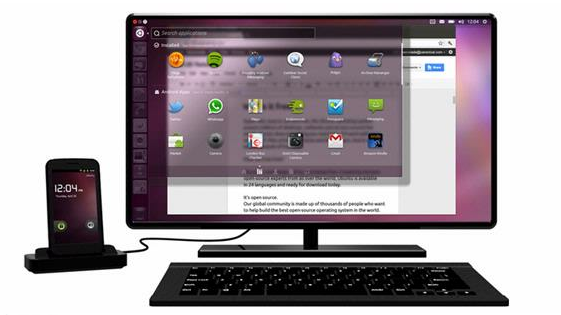 Ubuntu development for smartphones and tablets was announced officially by Canonical in 2011.